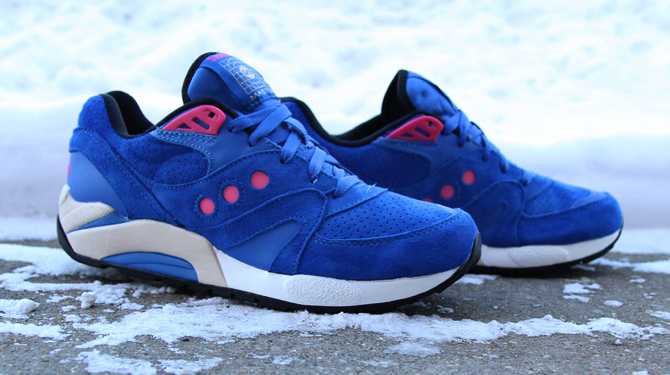 More suede creations from the Boston brand. 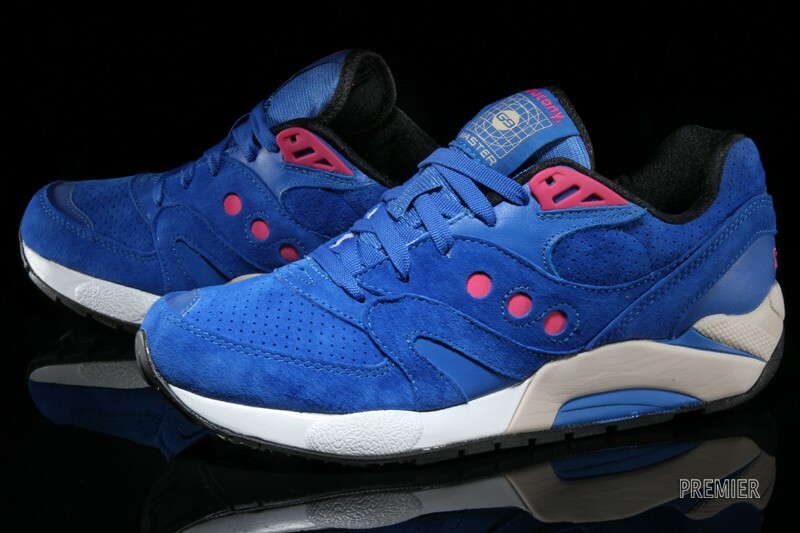 Saucony's back catalog of heritage styles isn't as well known as that of a Nike or adidas, so it's easier for them to pass off hybrid styles without upsetting too many. 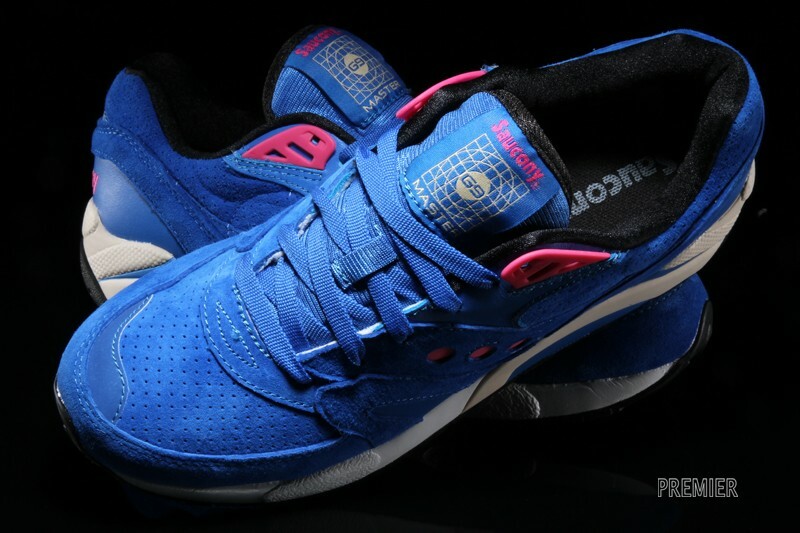 The Saucony G9 Control, shown here, is a hybrid, wearing the upper of the Saucony Master Control on top of the Grid 9000 tooling. 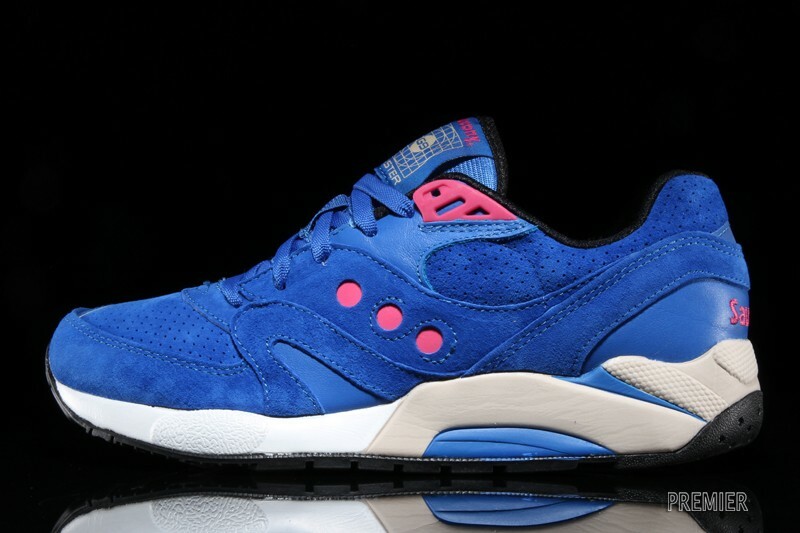 What's more, this colorway almost feels like a hybrid of collaborations of old–the pink dots and the blue hues are reminiscent of creations like Feature's "Barney" and Footpatrol's "Only in Soho" before that. 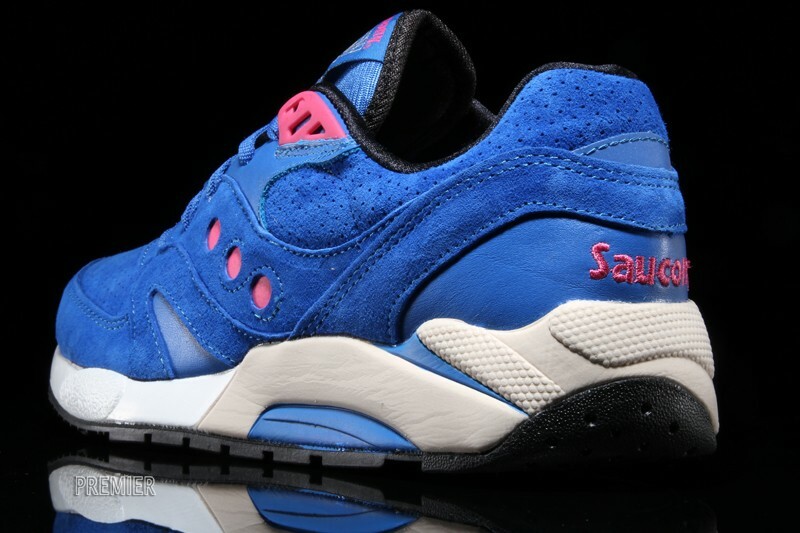 The good news is that, as it's not a collab, pairs are readily available. 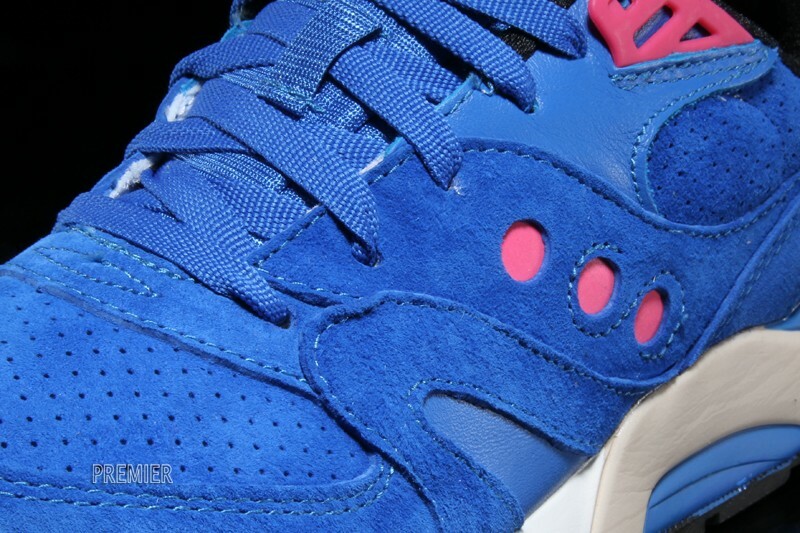 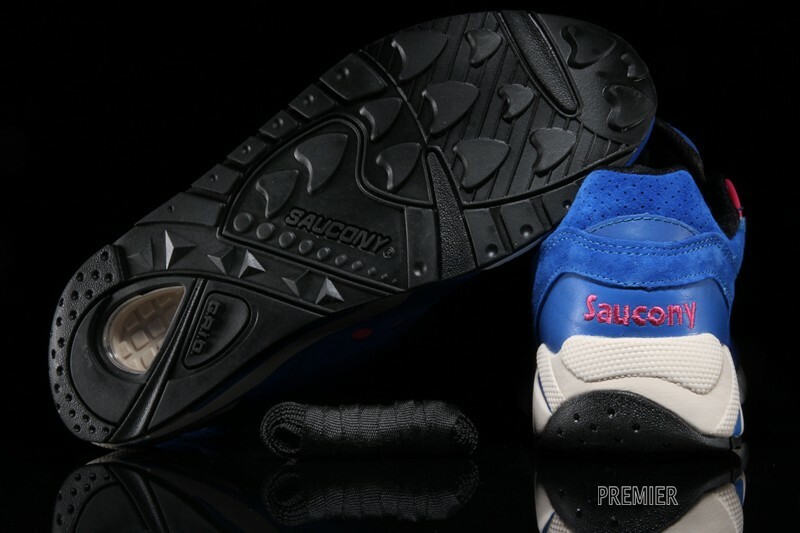 Premier is one of the spots that has these Saucony sneakers now.